Today I’m riffing on the flavors of the last salad, but taking it (hopefully) a little more upscale. The cashew cream is something new to me, but after making this, is something I’ll be playing with. A neutral non-dairy cream has all sorts of possibilities. Make the cream first and allow it to chill for a few hours or even a day. 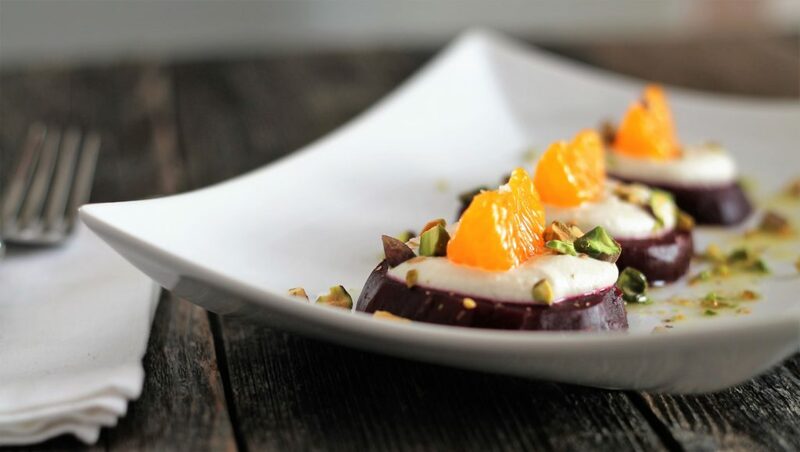 * Note if you don’t have a blender – a food processor will work, but be sure to stop a few times and scrape down the sides to ensure the cream is creamy! 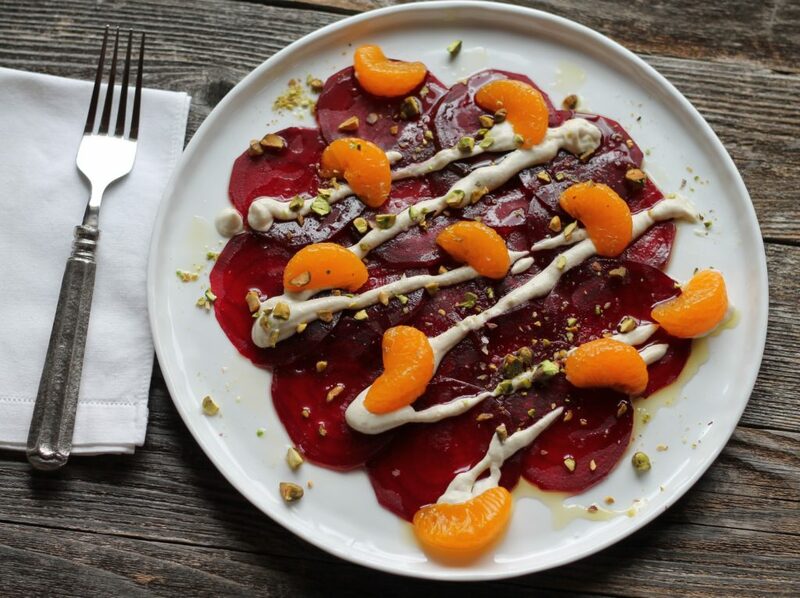 You can have some fun here, it could be plated similiar to beef carpaccio, thin slices overlapping on a plate, then topped with drizzle of your best extra virgin olive oil, followed by a drizzle of the cashew cream, the mandarin segments and a scattering of the crushed pistachios. 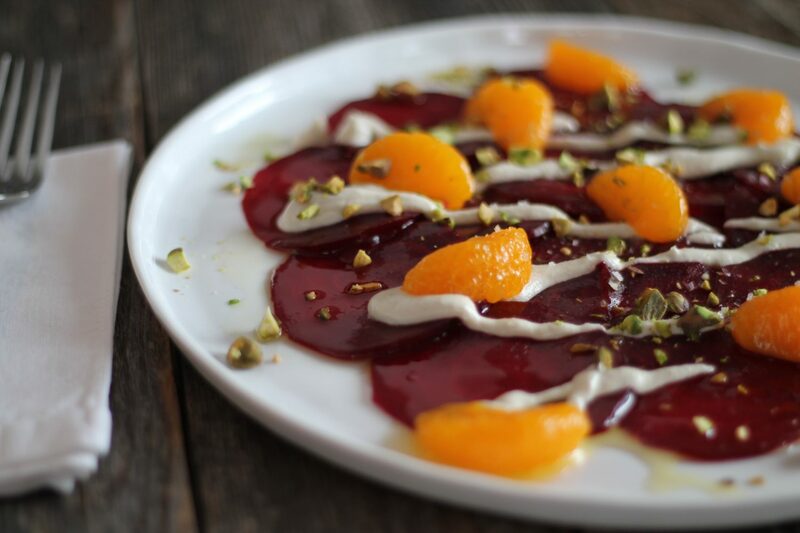 or for elegant canape – slices of the beets, a dollop of cream and a madarin segment. 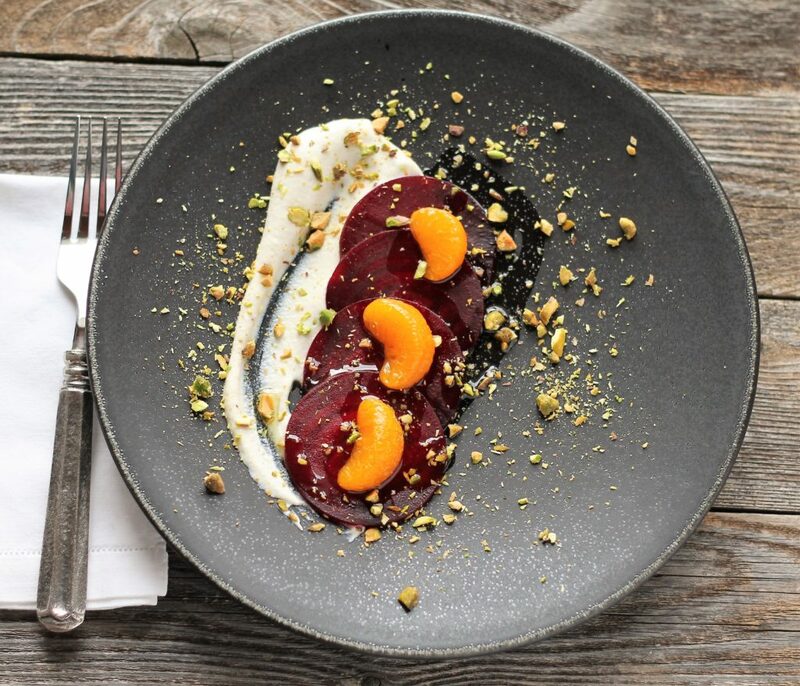 In any event, as my good pal says – you can’t beat beets!